On this wonderful day as we hear about the baptism of our Lord. We ought to rejoice with joyful hearts as we recall our very own baptism. For God our loving Father had revealed His Son our Lord and saviour Jesus Christ to us. 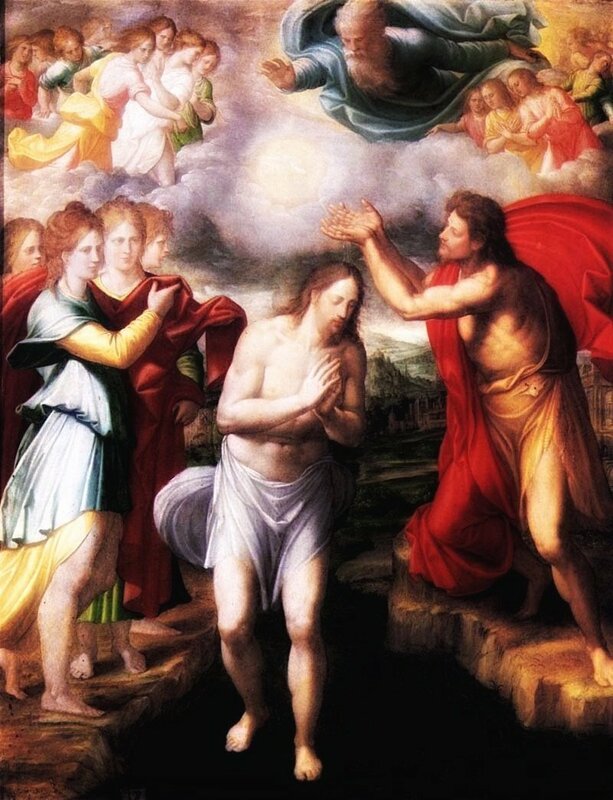 The love and favour which rests on our Lord, now rests upon us His children through the baptism we received. Such is God our Father’s great love for us that it was given freely even while we were great sinners. So that we might have hope of eternal life with Him. Oh, come to the water all you who are thirsty; though you have no money, come! Buy corn without money, and eat, and, at no cost, wine and milk. Why spend money on what is not bread, your wages on what fails to satisfy? Listen, listen to me, and you will have good things to eat and rich food to enjoy. Pay attention, come to me;listen, and your soul will live. See, I have made of you a witness to the peoples, a leader and a master of the nations. those unknown will come hurrying to you, for the sake of the Lord your God, of the Holy One of Israel who will glorify you. Seek the Lord while he is still to be found, call to him while he is still near. Let the wicked man abandon his way, the evil man his thoughts. Let him turn back to the Lord who will take pity on him, to our God who is rich in forgiving; for my thoughts are not your thoughts, my ways not your ways– it is the Lord who speaks. Yes, the heavens are as high above earth as my ways are above your ways, my thoughts above your thoughts.